Updated Friday August 12, 2016 by AUBL Miami. 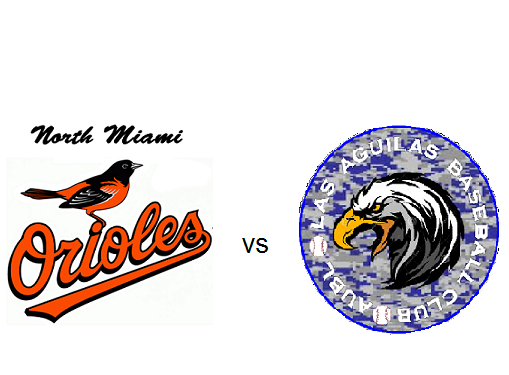 Kendall Hyundai presents AUBL Miami Semi-Pro Baseball special event broadcast game of the week North Miami Orioles vs Las Aguilas Sunday 8/14/16 at 5:30 pm from Flamingo Park in South Beach!! This special event will be broadcasted on the AUBL Miami Baseball Network. Commentators will be Jay Habacht Henry Stevens and Christopher Femino. Las Aguilas are a young and hungry team. After making the playoffs last season, Las Aguilas has struggled this season and needs to win this game to stay in the playoff hunt. The North Miami Orioles can leapfrog a very tight division and find themselves going from 8th place to 2nd place with a victory.